No-fines concrete have porous structure and as discussed in previous post they have lower strength than ordinary concrete. In this post we will learn about application of no fines concrete. They have air permeability and high water absorption. They can be used in pavement where vegetation or trees are surrounded by road. The permeability of no fines concrete allows water to flow through them. This easy drainage facility of no fines concrete is also used in domestic parking. This type of parking facility is essentially supported on permeable subgrade. 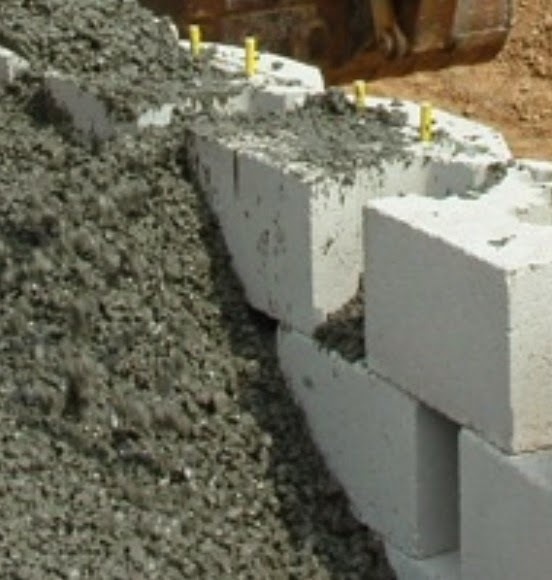 No fines concrete is mainly used in load bearing wall of domestic buildings. In case of framed structure, they can be used in infill walls. Normally reinforcement is not included in no fines concrete; if required treatment of surface of reinforcement is required. The treatment is done by providing coating with thin layer of cement paste. The layer recommended is about 1/8 in. or 3 mm thick. This treatment not only prevents corrosion but also increase bond between reinforcement and surrounded porous concrete. Due to large pores in concrete the contact surface between reinforcement and concrete is very low. This treatment is thus essential for reinforcing no fines concrete. The coating can be provided easily by shotcreting onto reinforcement. Dear reader we have discussed many information about shotcrete in our previous posts.